BAF F-16 Demo Team unveils the new livery of its Dark Falcon demo jet. On January 26, 1979, the first Belgian F-16 landed at Beauvechain AFB starting a new era for the Belgian Air Force (BAF). 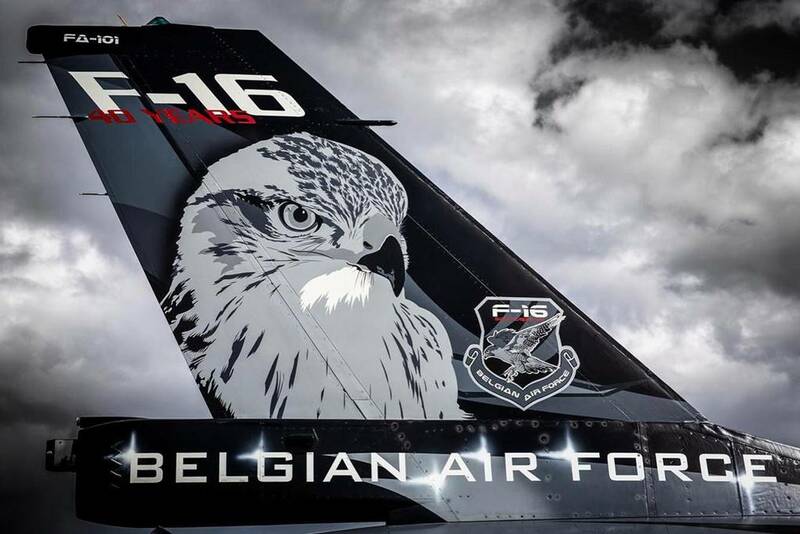 This year marks 40 years of glorious service of the Fighting Falcon in Belgium and the BAF has decided to pay tribute to the aircraft by making a surprise for all aviation enthusiasts. To celebrate this important milestone, the BAF F-16 Demo Team has updated the livery of its F-16 Demo Jet, called Dark Falcon, by repainting the tail rudder. It received the head of a falcon with "F-16 40 Years" written at the top. This is surely the best way to pay tribute to the service offered by the mighty fighter jet to Belgium considering that the BAF Demo Team will soon be acclaimed in the main airshows around Europe (See the 2019 airshow schedule here). The F-16 represents the backbone of the combat component of the BAF and in recent years it has taken part in many international missions and exercises. A squadron of Belgian fighters has just completed the Red Flag 19-2 exercise at Nellis AFB and is continuing its training in the United States. 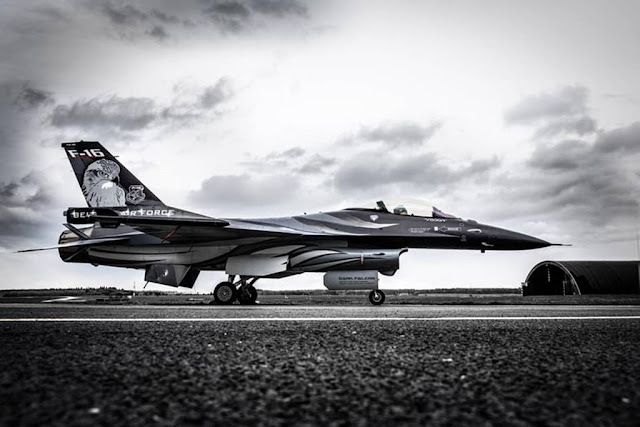 The first public appearance of the fresh-painted Dark Falcon will take place on April 4 in Beauvechain AFB when all the BAF Demo Teams will be presented to the media. The F-16 will remain in the BAF fleet for a few more years waiting to be replaced by the modern F-35A stealth fighter.